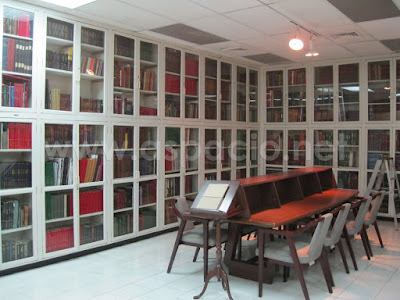 Last Saturday I had the opportunity to join a tour of the Lopez Museum and Library located at the Ground floor of the Benpress Building at the corner of Exchange Road and Meralco Avenue in Ortigas Center, Pasig City. 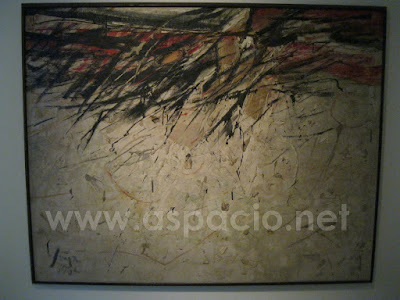 The title of the exhibition was “After the Fact” which attempts to establish lineage and re-collected past. In the “After the Fact” exhibit at the Lopez Museum I appreciated different works of artists that not only presented culture and history but also created awareness about other issues in our society. 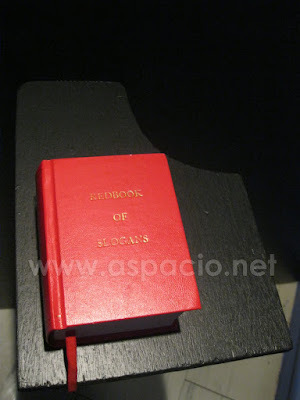 The photo above is the Red Book of Slogans (2009) by Kiri Dalena which was inspired by Mao Zedong’s Little Red Book, is a compilation of the slogans used by student protesters in the 70’s. 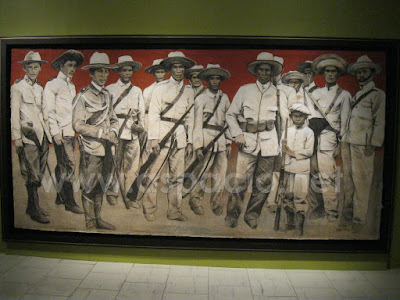 Below is Ben Cabrera’s (BenCab) Soldiers (Heroes of the Past). This was made for the Philippine centennial celebration but the purpose was to give recognition to unnamed faces, not just the well known heroes and personalities, who were most of the time in the frontlines of battles to bring freedom to our country. One other painting I appreciated was the Quiapo Nazarene Festival (1964) painted by Jose Joya which expresses the different things that happen in the festival in Quiapo every January. 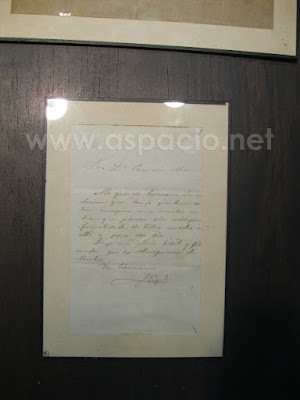 The museum also has a library where students and researchers can benefit from digitized copies of paintings, rare books and publications and other educational materials. Lopez Museum and Library celebrated its 50th anniversary in February and launched the book Unfolding: Half a Century of the Lopez Memorial Museum and Library. This book contains the institution’s history and its preserved works in the library which also serves as a testimony of the passion and generosity of the Lopezes to preserve the rich history and culture of the Philippines. It is sold at the Lopez Museum and Library for P2,800 (with box) and P2,500 (without box). I would just like to correct the price of the book. It is P2,500.00 (without a box) and P2,800.00 (with a box). Thank you very much.